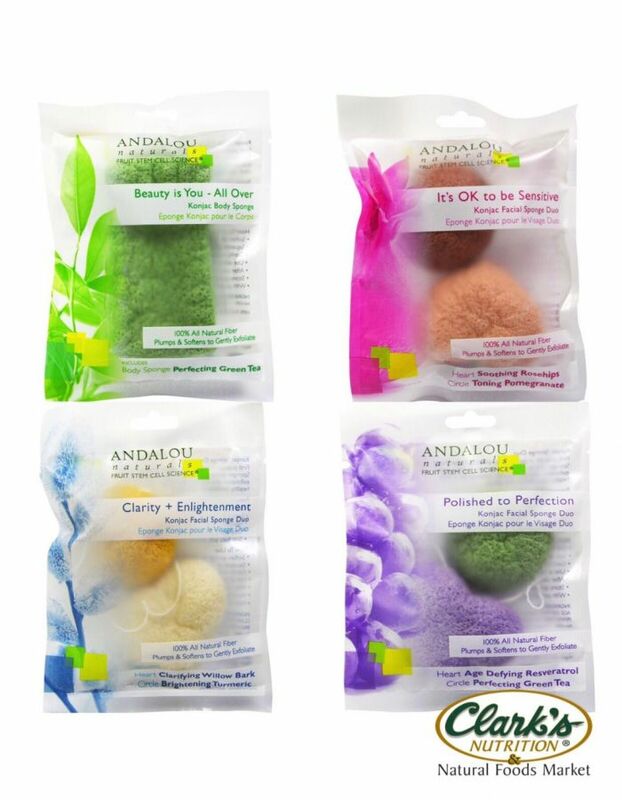 Andalou Naturals Polished to Perfection Konjac Sponge Duos. First popular in Japan, these amazing Konjac Facial Sponges plump and soften to deliver extra gentle exfoliation and skin-friendly nutrients for a fresh, healthy complexion that glows. Each sponge is extra soft for even the most delicate skin and perfect for all skin types. Cleanse and refine pores, these sponges soften and condition the skin leaving it feeling soft, smooth, and healthy with a natural glow. Try them now at Clark's stores.